The women of Naserian, and international volunteers, erupting into a spontaneous celebration of Naserian and Serene Communications’ Service Project in 2016, as it drew to a close. Naserian has found that once the widows start meeting and it seems acceptable to be a widow, more emerge and are ready to share their own experience. 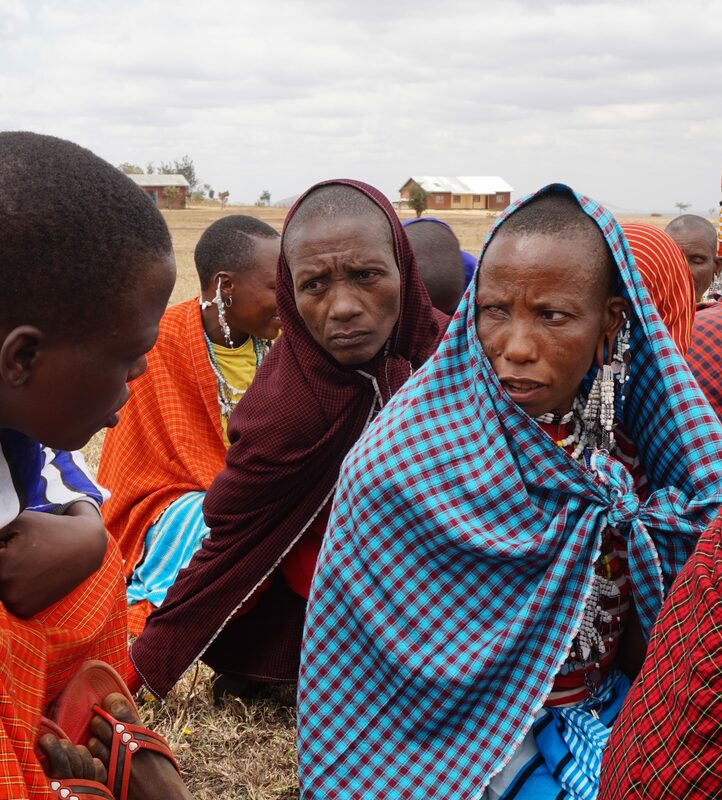 It is important that widows and their children are aware of their rights under the law and communities understand how traditional practices, created often from noble intent, may have become a vehicle of abuse and denial of rights. Naserian works with the whole community to advance all women and girls and widows in particular as a key vulnerable group. Widows can be young – 16 with two children for example. It is thus important for them to gain means of sustaining themselves and their children and enabling their children to go to school and to create brighter futures for the next generation. When women and girls are empowered, the whole community is empowered. When women are able to develop financial independence, they are able to provide for their children and thus the whole community prospers. This is one of the reasons why Naserian concentrates on widows. 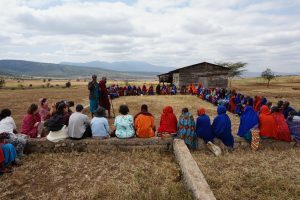 Since 2010, when the women of three communities were supported to create a communal space for discussion and understanding their rights, Naserian’s recent report has highlighted the vast improvements in community life as a whole. Led by the priorities of the women involved, Naserian’s work has spread to a total of eight villages, with training in running educational workshops for women and children, and FGM/C and human rights training for widows. Naserian has helped widows regain their rights over their own property, has raised the status of the widows in the whole communities, and has built a kindergarten, latrines, rain water harvesting for the kindergarten. As a result of the community cohesion, in 2016 community leaders and a local MP have donated land and materials in order for Naserian to build their own Centre. 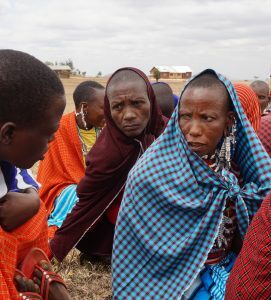 Naserian has sent two girls to secondary school for a number of years, widows have suggested that within the Naserian community, in under a decade, ‘early and forced marriage and FGM has almost entirely stopped’.